Many of the homes in the upscale Minneapolis suburb of Edina built in the 1950s and 60s are composed of numerous smaller rooms versus wide open spaces, providing a somewhat compartmentalized feel. Kitchens are often utilitarian and don’t offer much space for family gathering. This was the case with a recent 612 Design client, who approached us with the request to expand their existing Edina kitchen into the formal dining room—opening up the space and modernizing it to match their needs and lifestyle. As you can see in the before and after images, 612 Design knocked down a wall, connecting the kitchen and previous dining room to meld the two spaces. By replacing the dark oak with white cabinets and trim, the space was immediately transformed into a lighter, brighter, more modern gathering area. The former peninsula was replaced by a large granite countertop island with plenty of seating for family and friends. Due to the fact that this home had another room that could be used as a formal dining room and ample square footage, 612 Designs was able to confidently open up a wall and take over the adjoining room to morph the two without impacting the home’s resale value. 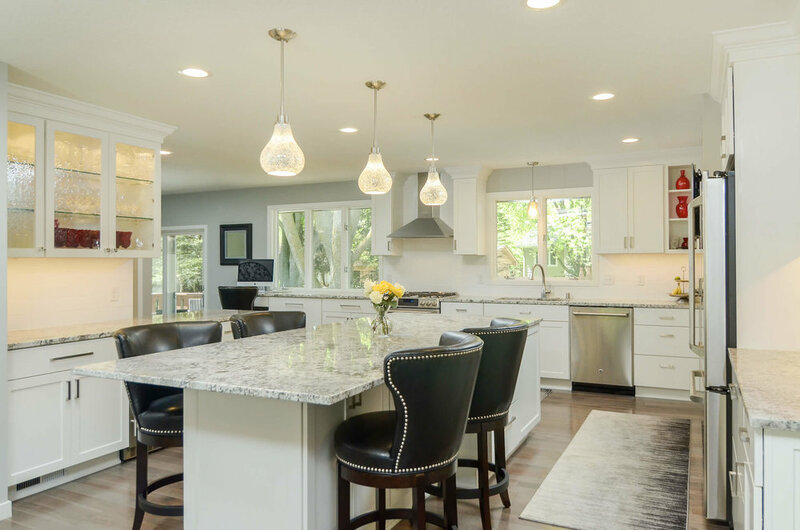 While it’s obvious the kitchen upgrade will tremendously impact this Edina home’s value, we are always careful to consider the entire floor plan of a home before removing walls and combining spaces. This is just one of the factors Minneapolis remodeler 612 Designs takes into consideration when planning a kitchen or bathroom remodel to ensure the design, materials, and execution are in line with comparable homes in the area. In addition, 612 Designs ensures a seamless transformation when combining rooms in a home. In this Edina kitchen remodel, for example, we placed a beam in the ceiling spanning across both rooms, to provide the impression that this was always one room. These details are important to us, ensuring our Minneapolis kitchen remodeling projects never look tacked on, but rather flow naturally through the home. 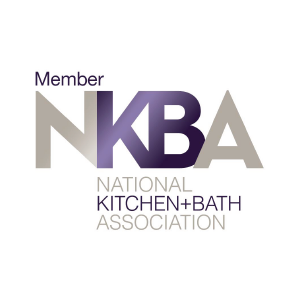 Are you looking for a Minneapolis remodeler to transform your kitchen? Contact 612 Design.